Remember hacky sack? The foot bag game? This is just like it! Well the Chinese version! 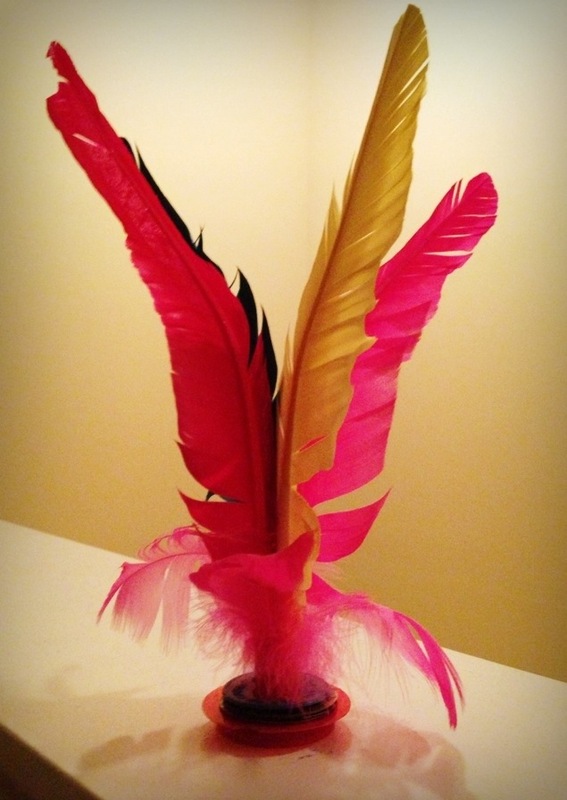 Mount a couple of feathers with a heavy base like coins at the bottom and it works perfectly like a hacky sack! I think it has the same concept like the badminton shuttle. Chinese people are so clever! I bought this when I went to china in 2009… I still don’t know how to hit this thing! Not even the other ball shaped on… Bad at this! It makes a great souvenir! Hope everyone having a good week so far!